You’re finally heading out on vacation – a much-needed break, and a great time to relax and enjoy time with friends and family. Unfortunately, you might have to deal with an unwelcome vacation guest – traveler’s diarrhea. This condition can be terribly frustrating, so it’s important to take precautions ahead of time. That way, you can completely enjoy your trip. Traveler’s diarrhea is quite common among tourists who aren’t used to an area’s local cuisine or water… or even by bugs picked up on the trip. 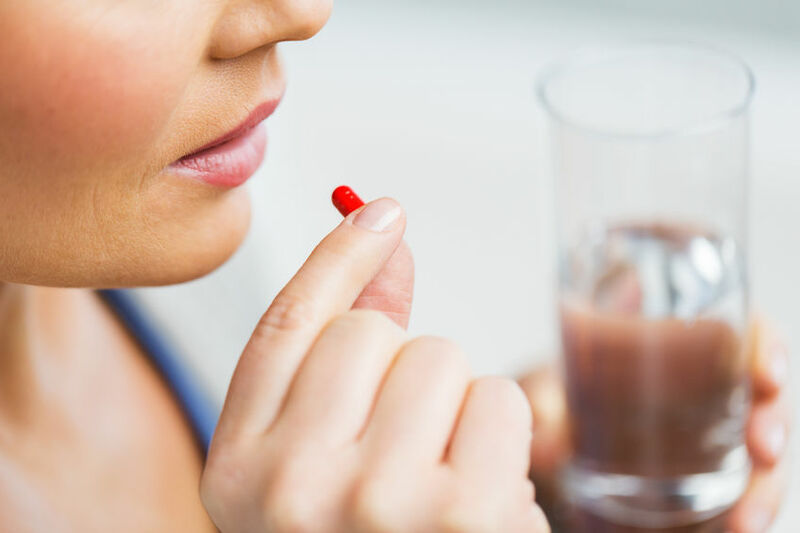 But there’s good news: a probiotic supplement may be effective in fighting the harmful bacteria that are responsible for this sometimes-debilitating problem. Most of the time, these symptoms will clear up after about three or four days, but if you are concerned, or if symptoms continue to worsen as time goes on, it’s worth seeking out medical attention. The vast amount of the time, about 80 percent, the culprit will be one of three harmful bacteria – Shigella, E. Coli or Campylobacter. In some cases, however, a virus or parasite is to blame. But what are probiotics, exactly? A probiotic supplement helps ensure that the “gut,” or gastrointestinal tract, has an ample supply of beneficial bacteria and other microbes. This is important, because the gut is a battleground, where beneficial and harmful bacteria are waging a constant war in your gut. When you have enough good bacteria, they can offset the bad microbes, and your digestive system will typically work as it should. But if the harmful microbes get a toehold, that can lead to all kinds of problems. These include not only diarrhea but also irritable bowel syndrome, a terrible illness that, in some instances, can be debilitating. Beneficial microbes create a sort of barrier, so that “bad guys” can’t penetrate the gut and cause problems. What Kinds of Probiotics Do I Need? Another critical clue involves the number of colony-forming units (CFUs) contained in each serving of a supplement. The recommended amount of CFUs in a serving is anywhere from 5-10 billion, but go for more, if possible. We recommend looking for capsules with 25-30 billion CFUs per serving, such as our own probiotic, Advanced Restorative Probiotic. You should also make sure the capsules you are buying have what is known as an “enteric” coating. The stomach is an extremely harsh environment, filled with damaging acid. If you ingest a capsule that isn’t properly coated, it won’t be able to withstand stomach acid. If that happens, the microbes inside the capsule will be destroyed. You don’t want the capsule to break down until it reaches your gastrointestinal tract. That way, the microbes will be able to do their jobs. In addition to arming yourself with plenty of good bacteria by taking a probiotic supplement, there are other things you can do to help minimize the chances that you’ll develop traveler’s diarrhea once you get to your destination. For example, you want to make sure that any foods you eat have been thoroughly cooked and are still hot when you eat them. Stay away from any undercooked meat or fish, unless you’re certain they’ve been prepared in a safe, sanitary way, and if you go to a local market, try to avoid eating fruits and vegetables before thoroughly washing them… especially if they don’t have peels you remove. In addition, it’s best to drink bottled water rather than tap, especially if you’re in a developing country without a reliable water system. Also, avoid well water and stream water if at all possible. If you have no choice but to consume local water, you’ll need to boil it for 3-5 minutes or bring a travel water filter (you can find these at sporting goods stores). Additionally, always keep your mouth closed when taking a shower, and stay out of any water that could be contaminated… and consider ordering drinks without ice, unless you’re certain the ice is being made from bottled water, or the water system is safe. What if You Get Traveler’s Diarrhea? One of the most common methods for treating traveler’s diarrhea is the administration of antibiotics. While these powerful drugs can be extremely effective, they can also deplete your supply of beneficial microbes. While antibiotics kill bad bacteria, they kill good ones as well. If you’re on an antibiotics regimen because of traveler’s diarrhea, this will be even more of a reason to keep using probiotics. There’s no way to completely avoid all risk factors for traveler’s diarrhea when you go to a developing country. But if you boost your supply of good bacteria by taking probiotics and follow the other preventive tips, you’ll be as well prepared as possible.